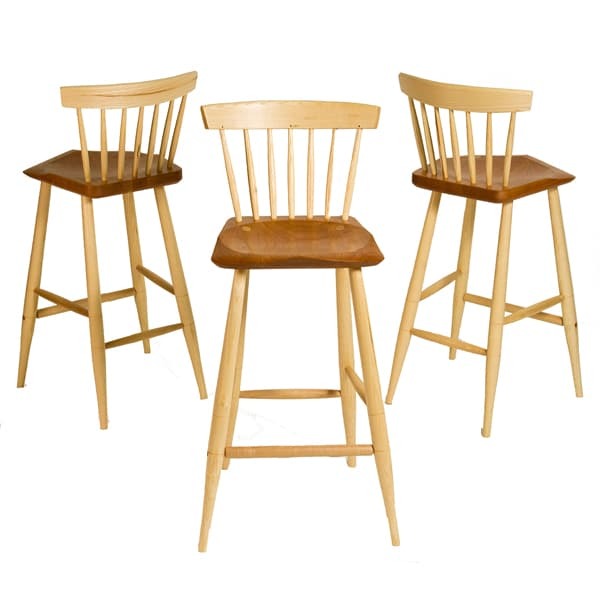 The bar stool shown is in ash and American cherry. This contemporary design is based on the Minimalist comb back and the stool will fit comfortably in both a modern and traditional setting. The examples shown have elm seats with the remainder of the chairs in ash. The angular and distinctively sculpted seat of the bar stool is its focal point. It is very comfortable. The low back crest is steam bent and fits into the small of the back to provide support. 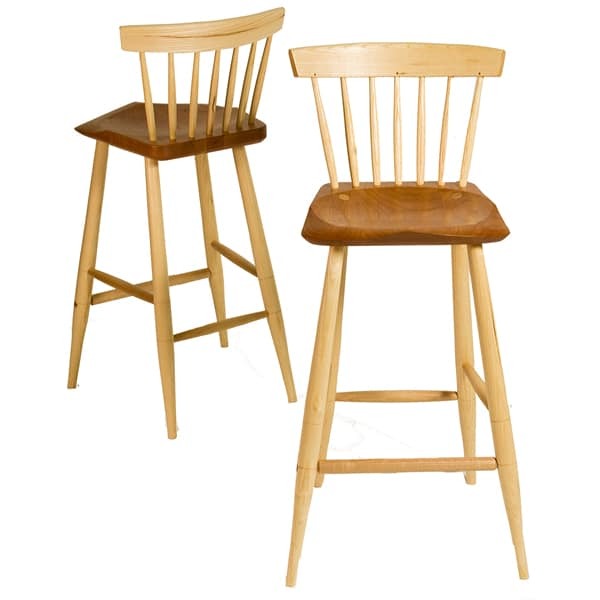 The legs are well splayed ensuring that the stool is stable and the front stretcher is ideal for resting one’s feet on. The legs, stretchers and spindles of the chairs shown are all turned. 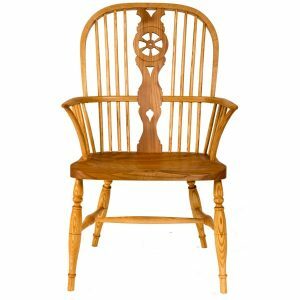 The chair shown has been made by James Mursell of The Windsor Workshop in Sussex, England.